Smoove & Turrell celebrate 10 years as one of the UK’s most popular live funk & soul acts with a new album; Solid Brass – 10 Years of Northern Funk. The band are touring this album throughout 2019 and come to Under The Bridge for a very special gig. With support from acclaimed funk band Crowd Company and top DJs Noble&Heath. Gritty and powerful, Smoove & Turrell make no attempt to sound or look like anyone else – not for them the sharp suits and trumpet twirls of some of their peers. 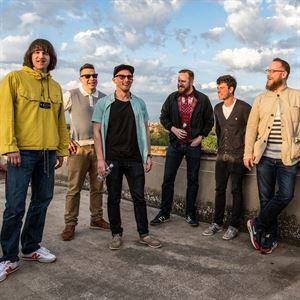 Instead you get a wildly talented and vital crew of larger than life Geordie lads taking their rightful place on the international soul scene having already become figureheads within the UK.